My name is Nikita. I love child development, and I my passion for the early childhood field shows in the work that I do. I am currently seeking a position as head teacher in a preschool setting. I have professional experience (paid and internships) as well as formal education in the field. Please review my resume located in the right hand column. In this column, you will also find documentation of my professional philosophy, experiences, and learning. I am employed in a preschool classroom in the Child Development Lab at CSU, Chico. My duties include caring for and supervising children through daily routines and activities. I implement curriculum plans as well as nutritional and safety needs for the children. I also have leadership opportunities with this position. 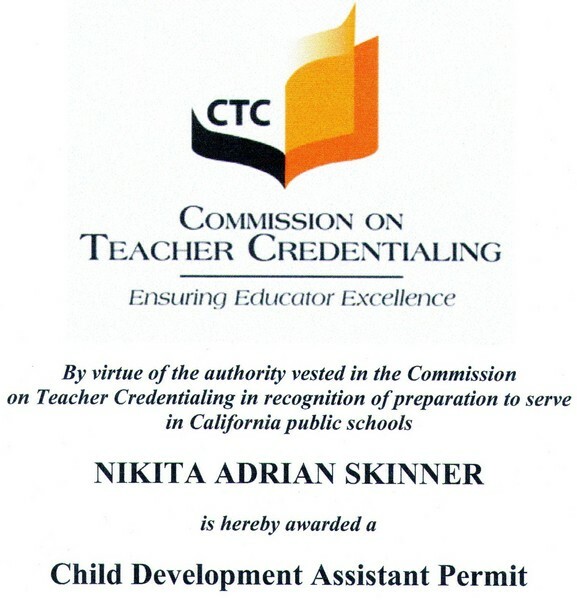 I completed an internship for the administrative office of the Child Development Lab at CSU, Chico. As an intern, I completed clerical work, record keeping, data collecting, evaluations and assessment tools of classrooms, and other assistance for the director as needed. 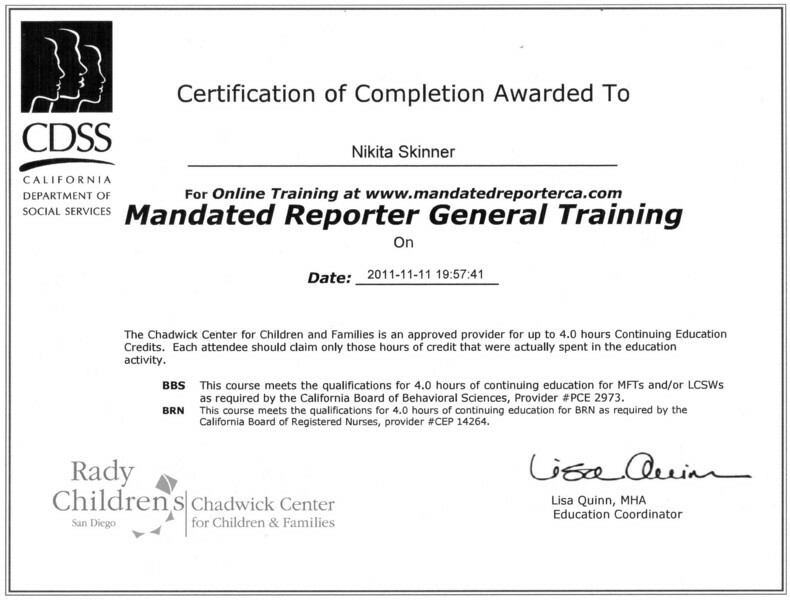 I completed an internship in a toddler classroom of the Child Development Lab at CSU, Chico. During my internship, my duties included interacting with children and supporting their development through play. I also assisted with sanitation needs such as diapering, and used developmentally appropriate practice to guide children's behavior and self regulation in the classroom. I completed an internship at a preschool in Chico, CA for a semester. 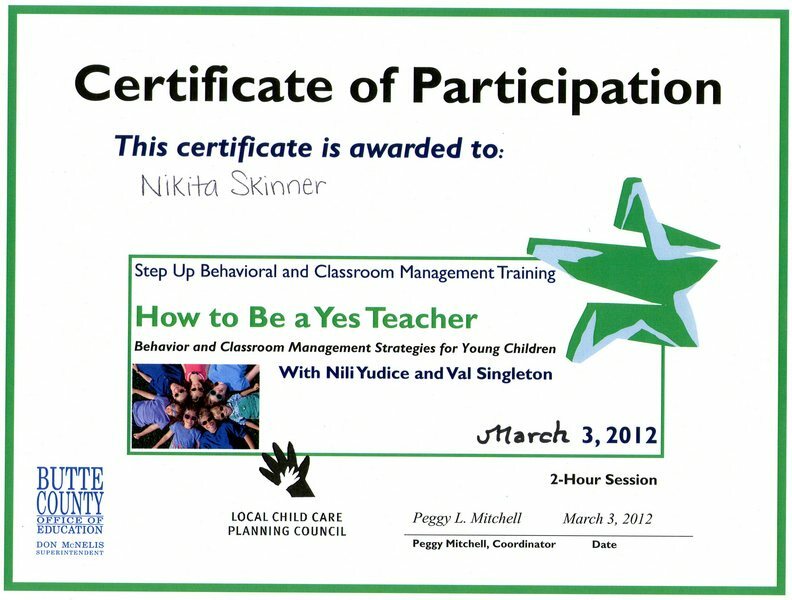 As an intern, I created and implemented activities for preschool aged children. I also assisted the head teacher with various supervising needs.